After working so hard to get your taxes filed on time, finding out that you made a mistake on your return is just about the worst news you can possibly get, short of an IRS audit. But making changes to your tax return isn't as hard as many people fear it'll be. Let's take a look at what you need to do to fix errors and whether filing an amended tax return is your best move. Do You Have to Amend? What step you should take when you discover an error depends on what kind of mistake it is. The IRS usually corrects simple mistakes like math errors, and it can often accept and process returns even when certain forms and schedules are left out. In those cases, the IRS suggests not formally amending your return, waiting instead for the IRS to go through its ordinary process and get back to you with any necessary changes. However, the IRS suggests filing an amended return if there's a change in your filing status, income, deductions or credits. By completing Form 1040X, you can correct errors and make sure that your tax liability is correct. Form 1040X looks a lot different from most IRS forms in that it's mostly just a summary of your income, deductions, taxes, and payments. Rather than having to go through line by line in excruciating detail, all the IRS wants to know on 1040X is what the old figures were, how much the corrections changed those figures, and what the new figures are. Unfortunately, as simple as that sounds, things get more complicated when you turn the page. On the back of the form, the IRS asks for a full explanation of why you had to amend your return, with supporting documentation and any changed or previously unfiled forms and schedules attached. Having to amend your return can be a hassle, but it's worth doing. In some cases, amending will get you a bigger refund if the error is in your favor. In others, it'll save you from having to pay penalties and interest when the IRS catches up with a mistake that led you to under-pay. In amending your return, keep a couple things in mind. First, to claim a refund, you generally need to amend within three years of the due date of the return. Also, if you haven't gotten your original refund yet but want to amend to get even more money back from the IRS, wait until you get your original refund before amending. 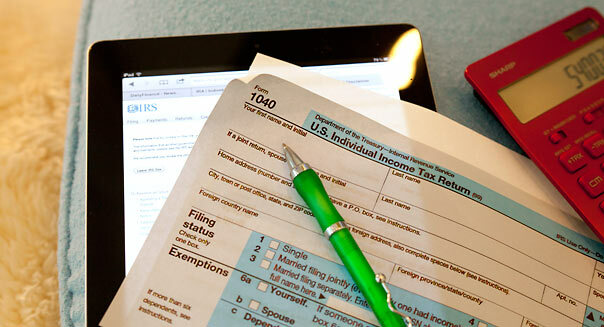 To find out more about amending your tax return, visit the IRS website here.